School of Mechanical & Auto Engineering, South China University of Technology Guangzhou. 510640, China. This paper presents a novel way for a structural dynamic simulation analysis on a three-dimensional (3-D) finite element (FE) model of a 6-DOF Manipulator using ANSYS Workbench 13.0 that allows integrated optimization. The load between driving and driven gear is delivered by elastic frictional contact, which leads to some non-liner contact problems, and the contact problems are solved according to the FE parametric programming method. 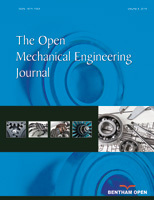 This study particularly focused on investigating static, dynamic, and fatigue behaviors of the gear system in a 6-DOF robot mechanism, which is modeled using SolidWorks software. Moreover, the ANSYS Workbench was used to determine the stress distribution, deformation and fatigue behaviors of the mechanism, and finally to carry out the optimization simulation analysis of its materials together with structural geometry. As a result, the design experience accumulated will be very useful for the future product design in terms of guidelines for even more complex mechanical systems or more complex boundary conditions.